Over the past decade Tom Cruise has been a constant source of controversy. In turn, that controversy has provided plenty of nauseating fodder for outlets to publish. Whether the focus is on his devout allegiance to Scientology, a failed marriage with Katie Holmes, or his proclivity for suing sleazy publications on public defamation charges, writers—and readers—have callously approached Cruise’s public pratfalls with more schadenfreude than sympathy. 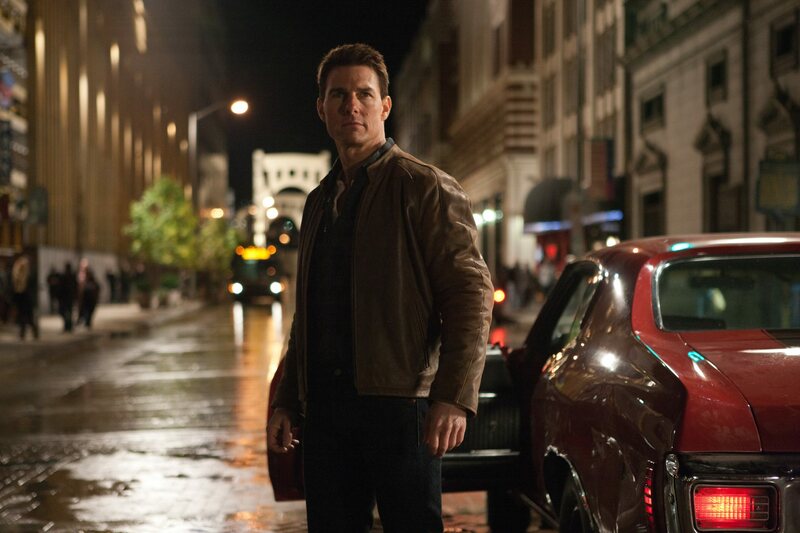 In fact, the only facet of Cruise that hasn’t been extensively analyzed is, well, the acting. Thankfully that void is now filled by Amy Nicholson’s tremendously insightful book entitled “Tom Cruise: Anatomy of An Actor.” Published by Cahiers du Cinema last week, Nicholson’s first foray into the literary world is the latest entry in this “Anatomy of an Actor” series—which includes in-depth profiles of Meryl Streep, Jack Nicholson, and Marlon Brando. Over the course of dissecting Cruise’s performances in ten different films (from "Risky Business" to "Eyes Wide Shut" to "Tropic Thunder"), Nicholson effectively examines not only his hands-on acting technique, but what and who has shaped his career. It’s clear that Cruise’s ascent to stardom wasn’t fortuitous—it was as meticulously calculated as each of his precise performances. Following the interview you can check out a passage from the book. Also, be sure to check out Nicholson at LA Weekly, where she serves as their Chief Film Critic. You do a pretty great job of assembling all of this information—anecdotes, quotes from reviews, excerpts from interviews—into a neat, cohesive package. What was your research process like? AMY NICHOLSON: Yeah, it was pretty intense in the actual physical research part. There’s a really fantastic place run by the Academy of Motion Pictures and they have clippings of so much original material. It’s awesome. She was actually my introduction. It’s the greatest library ever. So explain this place to people who have never heard of it. There are these people for decades go through every major newspaper and whenever there’s any article related to a film they underline the film, cut it out and make photo copies of it and put it in a little file folder. And it’s all cross-referenced so you can look up things by director, actor, etc. It’s all physical paper so you have to go there and actually touch the things. Which is kind of nice. And then they have microfiche on Tom Cruise going back to the very beginning of his career. It was really amazing for somebody who has been a critic for awhile and have been in LA for 12 years and know a bunch of the critics and the critics that came before me to read through old clippings and read their names in them. And to see like the guy who hired me as an intern at LA Weekly to read his "Top Gun" review from when it came out in the Weekly ... it was fantastic. I saw him at a screening the other night and told him about quoting his piece in the book. He probably hasn't thought about that review in decades. He said actually it has always been secretly one of his favorites. Instead of actually writing a review he just did a list of "5 Reasons Why I Like Top Gun and 5 Reasons Why I Didn't." Which in 1986 is kind of a weird way to do a print review. Yes, I do remember quoting this now. There weren't many positive critical responses when that movie came out. No there weren't. Not from the critics. I think especially in the era of Reagan it rang differently to people at the time—it rang as a film about jingoism. This is still an era that wasn't super far away from Vietnam. So the idea of a pro-military picture was surprising. These are critics who grew up on the cynicism of Vietnam. Have you always been a fan of Cruise's work? Was there a sort of tipping point or film that changed your outlook on him? I'll take a jump back and say that Cahiers du Cinema actually reached out to me and offered this chance to do a book on Tom Cruise based on a negative thing I wrote about Cruise based on my review of "Jack Reacher." In the piece I was little upset because I take "Jack Reacher" very seriously and I love the series and I always wanted Michael Shannon to be Reacher. I think you may be the only one who takes that series seriously. OH NO! James Rocchi loves it too! The books are fantastic. In my review I wrote about how Tom Cruise does not need to act he just needs to show up and be Tom Cruise. I assumed when I started my research that I would be doing a book not on a great actor, but on how a man of modest talent but brilliant industry savvy turned himself into a global superstar. And then I realized in my research how wrong I was, and there was a point where I called the publishers and told them, "This may be a different book than you think you're getting." Have you ever met Cruise? I haven't, and I sort of don't want to. I think it would be harder to write about him if I have. Yeah, I was wondering if you had interviewed him. There was a point at the very beginning when I was wondering if I should do a primary interview myself or just base this all on research. And I realized the problem would be that not all the films would be particularly easy to do interviews for. Some people are not alive anymore; some don't do press. And it would be strange if some chapters had primary interviews and others didn't. It was fun trying to come up with the initial conception of the book, because when you do a book on Tom Cruise you have to sit down at the very beginning and figure out what Cruise this going to be—what Cruise is this going to be about. I felt like the Tom Cruise husband of three wives, member of church that people don't really like ... I felt that Cruise had been written about. And the Cruise that hadn't been written about is Tom Cruise the actor who deserves to be taken seriously as an actor. It does seem like there has been a lot written about Cruise's personal life and very little published about his craft. What film completely changed your original thesis on Cruise? It was when I really started to watch "Risky Business" ... and you know, Roger Ebert was really the first person to take Tom Cruise seriously. His review of "Risky Business" was incredibly smart. He says that, and I'm paraphrasing, "This young boy Tom Cruise expressed a whole world of what he won't say." He was giving a real performance. 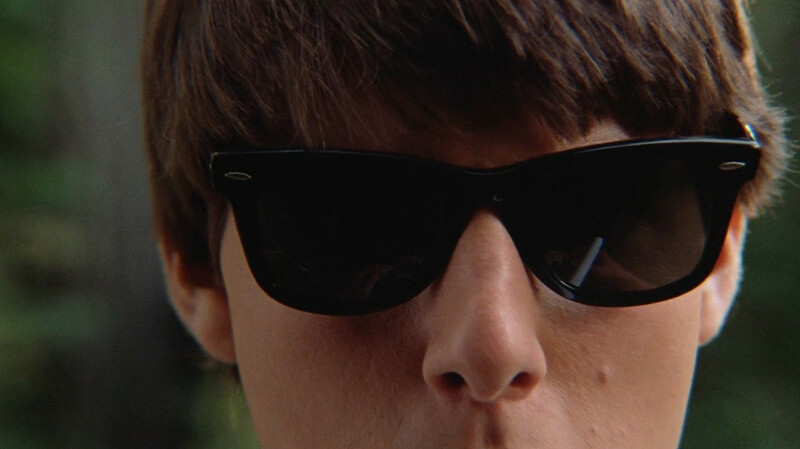 You watch "Risky Business" and it's not at all the movie we remember in our pop culture. We only think of it as a dude with sunglasses and a suit jacket who then takes everything off and slides across the floor in his underwear. But it's a completely different, darker movie than that. It is strangely dark. Looking back at it now, I wonder how we've created this sort of rose-colored perception of the film. It's like the Oprah/Cruise interview that didn't happen exactly as we remember it—we've taken "Risky Business" out of context and turned into something completely different. It's true. It's almost like everything in Cruise's career. What was so interesting to me as I was researching him is that I would constantly be revising my own opinions of him. All the movies I had these distinct memories of..."Cocktail", even "Top Gun". I watched them again with the point of trying to take them seriously on a level I hadn't ever tried before and they are so different. Like "Cocktail" is not this movie about a happy bachelor bar wizard who tosses bottles around. The first whole part is how broke he is and how the world won't take him seriously, and the second part is how he knocked up a girl. And it's dark. It's a movie about capitalism in the same way "Risky Business" is. I'm not saying it's a great movie, but it's not the movie we think of. It's the same thing with "Top Gun". We think of "Top Gun" as this flag waiving jingoistic thing and you watch it again and you find that it's really about a guy and his dad. It's really about insecurity and machismo. It's not at all the film it seems from the posters. When it comes to Cruise, it seems we rewrite everything in our head to make it simpler, and we always undervalue the work that he's doing in the individual films. It's strange that we've all seen them but nobody has really seen them. I wonder if a lot of that has to do with the abundance of controversy that has surfaced over the years. Were you ever tempted to fall down that rabbit hole? I actually considered the inverse. I had a couple of soul-searching conversations with people I really respect. Based on the premise, what if I did a book about Tom Cruise and never mentioned Scientology at all? Just to see if it could be done. I think I mentioned Katie Holmes once and I think I limit Scientology to a sidebar and a little bit in the "War of the Worlds" chapter because I realized that if you don't mention Scientology, that's the number one thing people can use to criticize the book. I really do believe that we don't care this much about anyone else's religion, and the fact that we've singled out this guy and his faith feels like bullying to me. The only reasoning behind this sort of selective disdain is that we had a certain image of Cruise, and then the Scientology thing came along and distorted that image. I also think the vilifying comes from how much Cruise spoke about his faith so publicly, especially in that Matt Lauer interview. You watch that interview and it's weird because the whole first section he and Matt Lauer are getting along great. And nobody ever thinks about that part either. Well, I think people are often more interested in talking about Cruise's pratfalls than his success. It's as if the moment he messes up, everything else he's done his career is rendered irrelevant. I think you're right, and to add to that, if you twist it a certain way what's surprising isn't that he became a national joke in 2005, it's that he managed to last—until 2005—without becoming a national joke. And that's really surprising. You don't see that anymore. It seems like the shelf-life on our actors is measured now in two years, not decades. How did you go about picking these ten movies? Because there are couple of films that aren't in here that I think should be. Yes "Collateral!" You broke my heart. I was largely thinking about it in terms of directors, and I couldn't double dip on directors. So I had to choose between "Minority Report" and "War of the Worlds." And then honestly, I really prefer "War of the Worlds." I think what he's doing there .. I'm entirely kidding—I'm just shocked you prefer that film over the masterpiece that is "Minority Report." (Laughs) I do! I think what's interesting in "War of the Worlds" is that Cruise is playing a hero that's actually not helping anyone. It's his most selfish character. As for "Collateral" ... I know that it keeps getting built up as the first time Cruise played a villain but oh my god he's been playing a villain since the very beginning of his career, all the way back to "Taps". 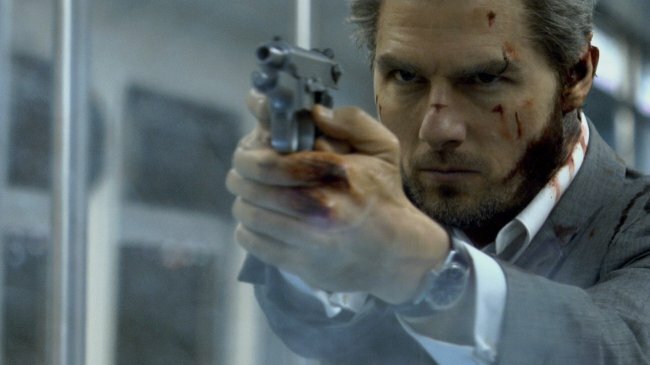 And also, I really apologize because I know I'm about to get in trouble, but I think "Collateral" is really boring. (Silence) You remember how I mentioned that we can maybe hang out during TIFF? I think I have to take back that offer now. That's shocking. What's boring about it? (Laughs) I'm shocked too! I fully popped it in the VCR. Wait no .. The VCR? Oh the VCR. Did you write his book a decade ago? (Laughs) I fully put it on, expecting that it would probably go in the book, and then being so restless and then realizing it wasn't his first villain role. We have "Interview with a Vampire." I don't understand why people like that movie so much. I'm genuinely trying to understand because every time I talk about the book people get mad that it's not in there. What film was the most interesting to investigate and write about? 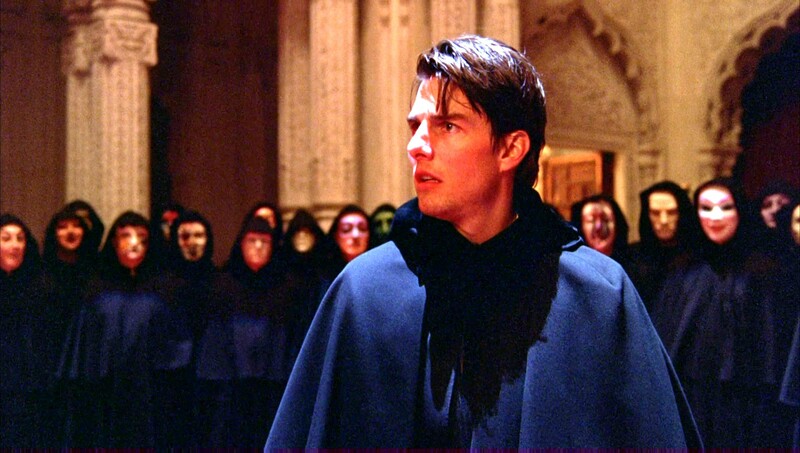 "Eyes Wide Shut". I find that film incredibly frustrating and I knew I had to write about it. It's a film I remember almost walking out of the first time I saw it in a theater. Knowing that I had to watch it intensely I watched it three times in two days just to really get into that headspace. I was terrified of having to go in there, and trying to figure out how to reconcile with the fact that I do think Cruise is a great actor with the fact that I think that character is so strange and that it doesn't work. I think I thought about that one because it scared me so much. Actually to write it, I flew to the Stanley film festival in Colorado (it's a horror film festival). And it's set at one of the two hotels that inspired "The Shining." That's where I wrote that chapter. Was there something you feel you left out of this book, something you wish you had written about but didn't get to the chance to? I don't. I think I would sort of just love to come back to this book in fifteen years, when I hope that Cruise has made a couple better choices. Because I genuinely believe there will be a point where we turn around and we look at Tom Cruise again for the first time. I think almost without a shadow of a doubt that he has another Oscar performance in him. I think it's just whether or not he takes that risk again. It seems he really has changed his ways over the last decade. He's not challenging himself. I think he really does need that Oscar. When you go through his career you realize all these interesting pivotal moments where the way we see him could've changed. Like if he had won that Oscar for "Born on the 4th of July," that would've been a key moment. Even if he would've been nominated for "The Color of Money" or "Rain Man" ... you think of those films and you only think of Dustin Hoffman and Paul Newman—both of whom received Best Actor awards for the work on those movies. Nobody thinks about the work Cruise did. Why do you think he hasn't done something serious in forever? I don' know ... this is all conjecture, but something in my gut says when he lost that third Oscar for "Magnolia," that's when you start seeing him make even bigger popcorn movies. After the 2005 couch incident, I think because everyone was talking about him no longer in creative terms but in financial terms, he felt this need to prove he still had box office clout. And I think he's been spending these last 9 years trying to prove that he still has box office clout. Next Article: Mike Sacks, Author of “Poking a Dead Frog,” Explores the Comedic Process Previous Article: Calm in the Storm: John Michael McDonagh, Brendan Gleeson on "Calvary"